Former Chelsea Boss Carlo Ancelotti has moved back to London after leaving Germany. Ancelotti was sacked by Bayern few months ago . The Italian who led Chelsea to the Premier League and FA Cup double in 2010, was sacked by Bayern Munich in September, he is yet to find a new position despite the Italy post being free. Rumour has it that Carlo Ancelotti might replace current Chelsea boss 'Antonio Conte' at the club, But Ancelotti has insisted that he is not interested in managing Chelsea again while his friend Antonio Conte is in charge. Ancelotti has also turned down the chance to coach his country to remain in club management. "I would like to continue to train a club team," he said. "The national team would be like changing jobs. "Italian football has problems and I do not think I can solve them on my own. It's a federation problem." 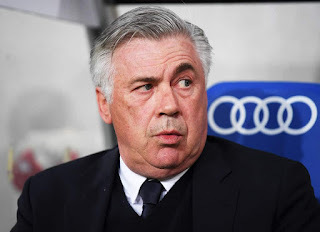 Meanwhile, Chelsea are not the only club alerted by Ancelotti move to London, and he could be a potential replacement for Arsenal boss Arsene Wenger when he eventually leaves.